Star Wars Battlefront 2 was hit with waves of controversies thanks to how the game implemented lootboxes and how content is unlocked. In Reddit, a reddit user commented saying "Seriously? I paid $80 to have Vader locked?" and was replied to by an EA representative, making the reply the most downvoted comment in Reddit. 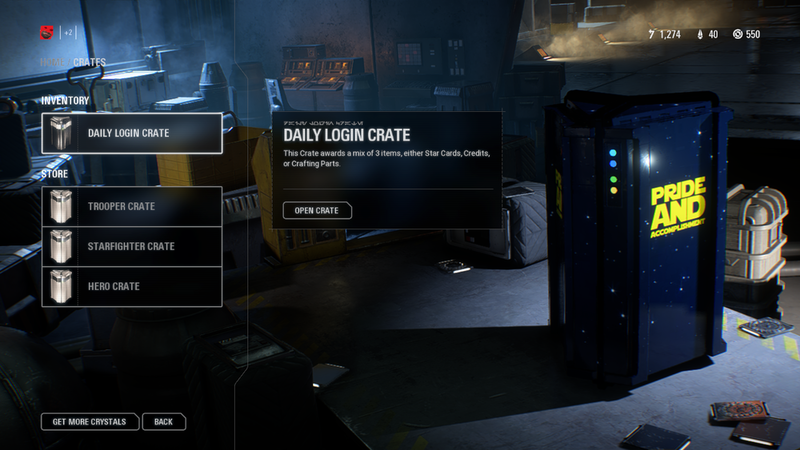 Thanks to the efforts of Creator Dareedevokl, there is now a mod that changes the game's lootbox textures, applying the words "pride and accomplishment"on the side of every lootbox in the game. He even considered applying the Star Wars font in the design. A nice touch. It is available now on Nexus Mods for those playing the PC version of the game. It's a simple mod but it's a good reminder of the controversy Star Wars Battlfront 2 had the moment the game was released back in November. Early impressions and reviews have gone live for Anthem and it’s generally a mixed bag for Bioware’s latest epic. “N7 means coming into the studio every day, dreaming about what the next great Mass Effect game will be," says Casey Hudson, general manager at Bioware. After playing Battlefield V’s Open Beta, I had to return to the Great War. Anthem’s PAX 2018 trailer talks about the story, and the characters you’ll grow to learn as you explore the world Bioware has created.